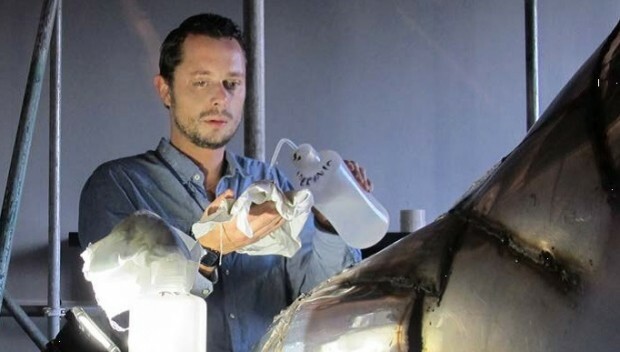 The Gabo Trust has expanded its role in furthering research and understanding of contemporary sculpture conservation. Museums in the UK have a shortage of expert conservators in this emerging specialism, which includes conservation, managing change, the understanding of new materials and how they age, the necessity to liaise with living sculptors, their fabricators and foundries. In response to this need, the Gabo Trust has created a new grant for specialist sculpture surveys of museum collections of modern and contemporary sculpture. To date, the Gabo Trust has awarded grants to National Galleries of Scotland, Southampton City Art Gallery and Pallant House Gallery, Chichester to choose and commission a specialist conservator, who has undertaken sculpture condition surveys of their modern and contemporary collections, and advised on the sustainable care of sculptures including works in non-traditional materials. The surveys have demonstrated the need for pre-emptive conservation, through a long-term programme of improving the management and care of entire collections, rather than reactive conservation that deals with problems only as they arise. For instance clean, well-organised storage areas, with stable humidity, and well-designed storage/travelling cases, which provide security and protection from environmental extremes in store and in transit, are the most cost effective way of reducing physical damage to collections. National Galleries of Scotland (NGS) has a highly regarded modern and contemporary sculpture collection with strong holdings from the latter half of the 20th century. The collection is used intensively, as modern classics are always in demand for displays and loans. While bronze, plaster, stone and wood predominate as sculptural materials in the collection, there are also plastics and other metals such as lead, tin and aluminium, as well as glass, textiles, card, mixed media and unconventional materials in multi-platform formations, including polychrome, electronic and kinetic sculptures. The conservation survey helped to define a sustainable programme of care that maximises the use of current resources and allows for additional needs to be planned and carried out. It recommended that a role of an experienced sculpture conservator be established within NGS to support the collection care programme and develop conservation plans, including preventive treatment, training, and research activities. It advised that documentation of interviews with artists, fabricators and foundries made at the time of acquiring individual sculptures is held centrally as it is critical for cataloguing, display and maintenance decisions. The survey also recommended that maintenance teams should be created from current staff working together (conservators and technicians), and a budget secured for appropriate casing of new acquisitions. It was noted that basic maintenance could be provided by non-conservation staff once they had received preliminary training, and by bringing in junior conservation technicians and students. Southampton City Art Gallery has an important collection of sculptures, primarily by British artists. Most are fabricated from bronze, plaster, stone and wood, but some are made in plastics, metals (aluminium and zinc), glass, textiles, paper and mixed media (including polychrome, electronic and kinetic sculptures). The survey established that over 70% of the collection is in sufficiently good condition to be exhibited after light cleaning. For the remaining sculptures, most damage was categorised as minor, but the sculpture store was overcrowded. The gallery is following the survey’s recommendations by developing and implementing a better storage plan, and improving the casing of sculpture, as well as protocols for handling and display. As some items are not easily accessible, the entire collection was photographed as part of the survey, so that an education officer has been able to curate works by studying photographs rather than having to un-crate individual sculptures. The conservation care of the sculpture collection is overseen by the Conservation Officer (Art), whose primary specialism is paintings. The survey estimated the number of days that would be required by an experienced sculpture conservator to work on individual items in the conservation studio. This has enabled the Conservation Officer to focus on appropriate fund-raising, with reference to the survey’s findings, strengthening applications for conservation work that includes facilities for improved storage. She explains, ‘Being involved with the survey has enabled me to broaden my conservation knowledge by learning about a discipline other than my own, of paintings, and I should now be able to transfer these skills to other items in our collection’. As a result of the survey’s advice, the Conservation Officer has successfully applied to the Henry Moore Foundation and the George Dannatt Trust for grants for the conservation of specific sculptures. The intention is that a specialist conservator will be engaged to carry out the work on site, with a recently-qualified conservator, volunteering at Southampton City Art Gallery. This would result in additional training for the gallery and the volunteer, building sculpture conservation skills, which will help this institution conserve and maintain its sculptures in future years. Pallant House Gallery, Chichester has an important sculpture collection of mainly British late 20th century and contemporary works. Most are in resin, bronze, plaster, stone and wood, but there are also items in plastics, metals (aluminium and zinc), glass, textiles, paper and mixed media including canvas, latex and shells. The gallery commissioned the survey to identify conservation priorities so that it can prepare funding applications for this purpose. The survey confirmed that the collection is in very good condition, with over 80% assessed as being exhibitable. It noted that while the gallery has limited resources and tight storage space, the care and dedication of its team has ensured that the sculpture collection has been well looked after. It was recommended that environmental improvements and additional storage space should be incorporated into long-term plans, that are now underway, and that basic treatments of the collection could be carried out by funded internships and supervised junior posts. The Artistic Director has confirmed that the survey’s recommendations for display, handling, storage and maintenance will also enable increased public access to Pallant House Gallery’s sculpture collection.